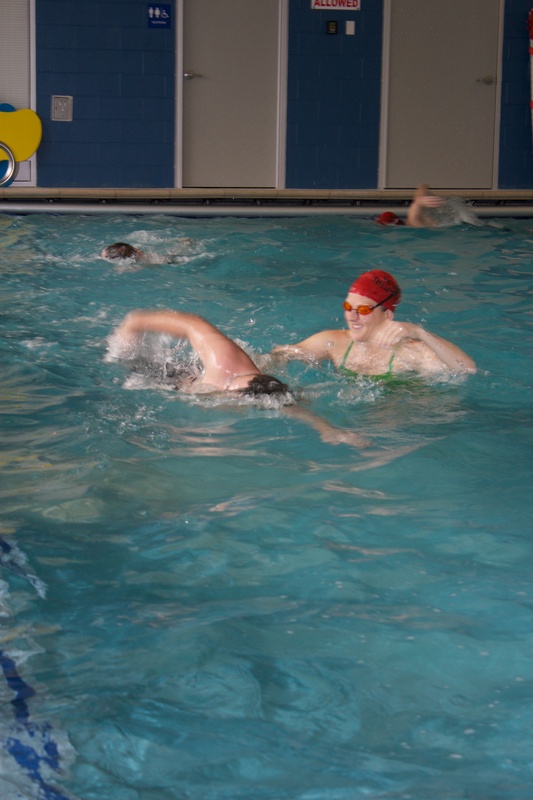 May 2012 – Multisport coaching. I hadn’t raced a triathlon since last August so many cobwebs needed dusting! And being nervous was an understatement as I had no idea how I’d fair. Typically by this time of year I have a great base, but due to back issues, September-December entailed no training. Even in January, I did nothing but drills in the water and running was sporadic with more drills and exercises than actual running. Another 3 or so weeks were taken off due to travel and the like in February. With all this time off, I had no clue what to expect with my performance. I had high hopes, but was also prepared for anything. This race was done sans my incredible sherpa so I had to put my bike together solo. I had strict instructions prior to leaving home and I wrote them all down. With some hassle, mission completed! 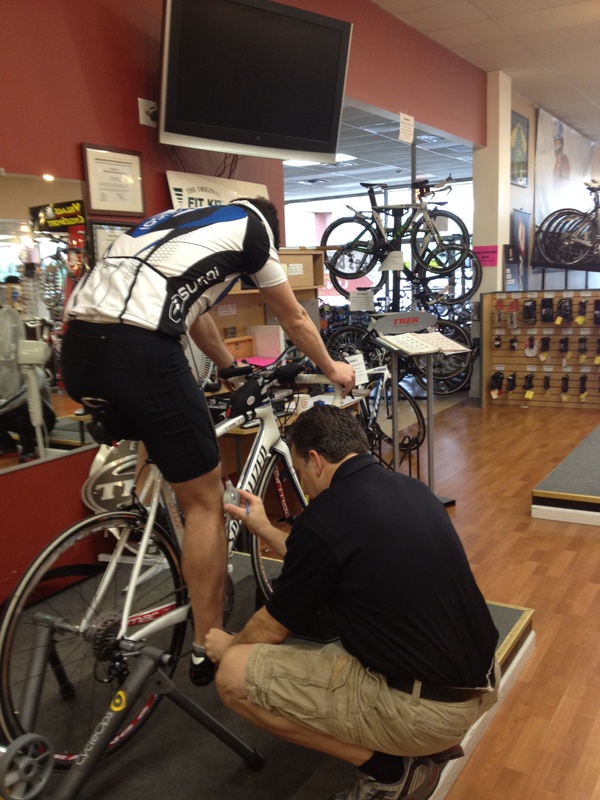 Yet being my first time doing this, I didn’t trust myself so I drove a couple miles to a bike shop to have everything double checked…especially my aero-bars as I didn’t want them dropping. Prior to the swim, I listened to the swim course talk and they told us to keep all the buoys on our right. This seemed odd considering where the start and finish were, I couldn’t figure out how that would work. In my eyes, the buoys had to stay on our left. The pros went off first and they kept the buoys on their left. Uh-huh! Ok, so the directions were off, no biggie. Anne wished me luck and off I went. I duked it out with a couple girls for a few minutes and then we got into a line. They were a little faster so I pulled in 3rd. Drafting! Wow, I rarely get to do that! Unfortunately, it only lasted a few minutes as the first two then ended up about 20 feet apart and I was in the middle and a few yards behind. Oh well. After the 1st turn, I remained in 3rd and felt ok. A few minutes later, we passed some elite men, LOVE that! 😉 After making it around the last turn buoy and heading to shore, I was feeling stronger and gaining on 2nd place. Yeeha! Soon on my left, I saw a boat with a few guys yelling. I pretty much ignored it as I suspected they were just trying to get a swimmer back on course. But after another minute or so, they kept yelling…and yelling. So instead of doing my normal sighting stroke, I did a couple breaststrokes to see what the heck was going on. Um, so, they were yelling at about 8 of US!!! Apparently, we turned at the wrong buoy and missed one so we had to swim back out, go around it, and then come back! As you might imagine, expletives galore were going through my head! Grrrr! See? It proves what I always say, don’t trust those in front of you to be going straight, regardless of how fast they may be!!! Exiting the water I was in 3rd, but after mounting my bike, I was 2nd. (I had my shoes on my pedals and she didn’t). The 2 loop course and had couple long climbs. I felt good, but not fast. About 2/3 of the way through the first loop, I noticed my aerobars had dropped down a little. After descending the next hill, I FELT them drop some more! Holy crap! I tried to pull them back up while riding and it worked! A few minutes later, they dropped again. Now I was scared. Going downhill with great speed, I could only think about how I would maneuver if I was to fall. What to do? I stayed out of aeros going down the hills and was in aero position for the flats. Oddly, I also heard a noise which I couldn’t put my finger on. My brakes weren’t rubbing and all looked good so I ignored it. The 2nd half of the ride was more fun as more people were on the course. And I LOVED chicking so many men, sorry! There were a few women who passed me, but their race numbers had come off so I wasn’t certain which wave they were in. I tried to stick with each one of them to no avail. These legs could go forever, but I simply had no speed so I came into T2 maybe in 4th or 5th. Ouch! My legs hurt on that run! Another 2 loop course with a couple of hills. (My calves were sore for 8 days afterwards)! Going uphill I felt less than good (heat+asthma= ouchie)!, but on the flats I felt really strong.. Thankfully the clouds covered the hot area until the last mile of my run. Whew! There was no shade on the course! I got burned anyhow as a few more elite chicks passed me. 😦 I tried to move, but I had not another gear. Upon finishing, I was greeted by my awesome cheerleaders and hosts, Anne and John Stichnoth, who just had twins (Hope and Jack) a few months ago. In fact, they were the entire impetus for my trip. When we finally settled on a date, Anne told me there was a tri that weekend I should do. Um, ok, twist my arm! So when we were walking back to the car, I asked Anne if she heard the noise from my bike. Um yea, so we realized my aero-bars dropped enough for my front water bottle to be ridding on my wheel!!! Grrr! Thanks bike mechanic!!! -Rookie error on my swim costed me a couple minutes at least. 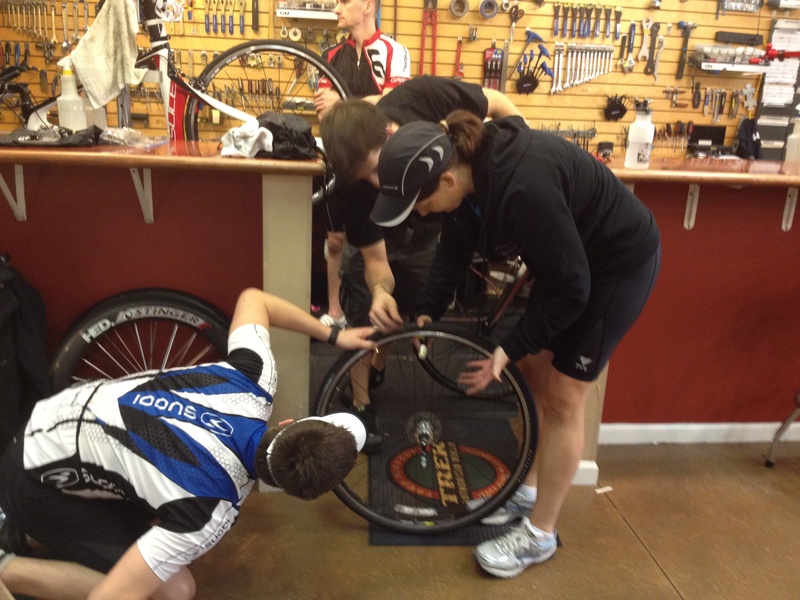 -Bike mechanic issues slowed me down and made me work too hard on the ride. -My run was actually pretty solid, especially considering the extra work put in on my ride. -Overall, I re-learned a lot! Every race is always a learning experience. Everyone always expects a perfect race, but it’s really pretty darn rare to have one no matter how well you prepare. Expect the unexpected and know how to deal with various uncertainties. All you can do is your best on that day. Besides, a race doesn’t define you. Thanks to Weej for watching Sarah and Courtney while I was in Kansas and Scott was in Seattle. I couldn’t have gone without your gracious help! We really appreciate it! A big thanks to the Stichnoths for hosting me and allowing me to completely over stimulate their precious babies! 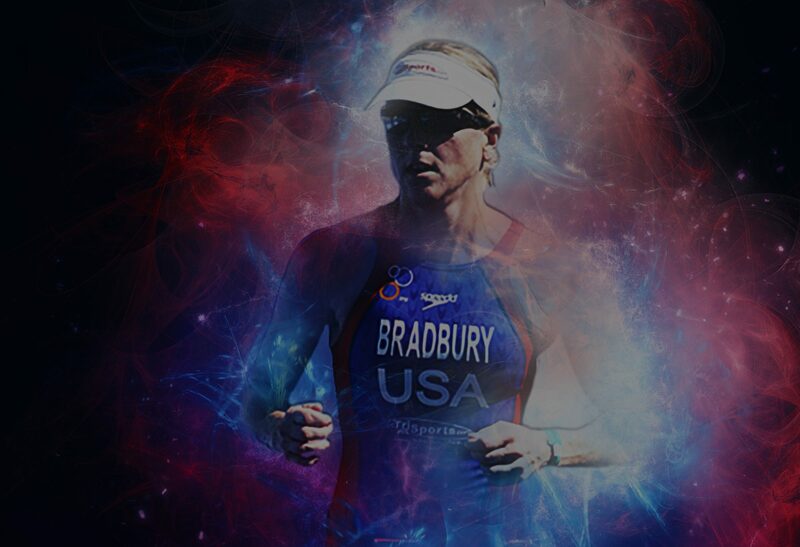 The inaugural Bradbury Fitness Tri Camp! What great weekend! I had high expectations for all the staff in involved, but they not only met those, they surpassed them! 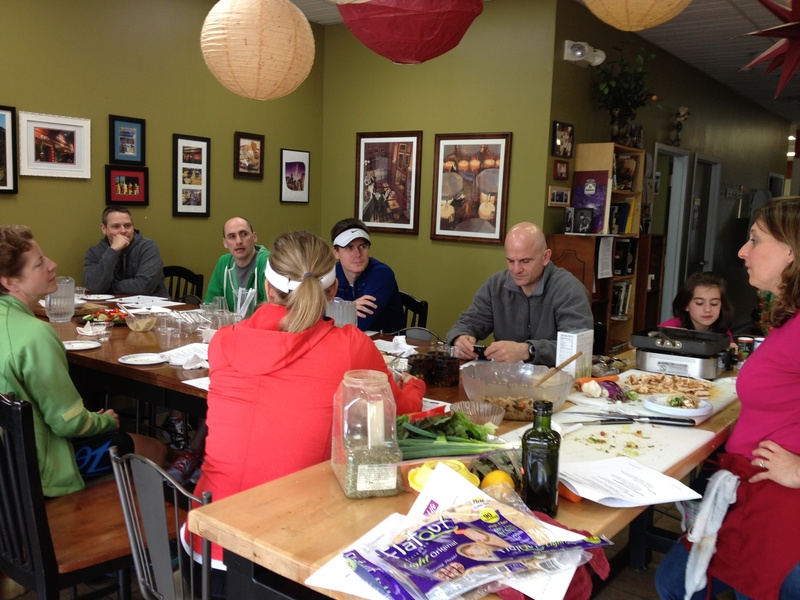 So here’s a HUGE shout out to Pom & Mark Rouse of Runner’s High n Tri, Janet Leet-Smith of Sub5, Amy Baltes of FitNut4Life.com Vince Boyer and staff from Village CycleSport in Elk Grove Village, and of course Coach Scott Bradbury from Bradbury Fitness. In case you missed the advertising, this was a unique camp as it was all focused on technique. 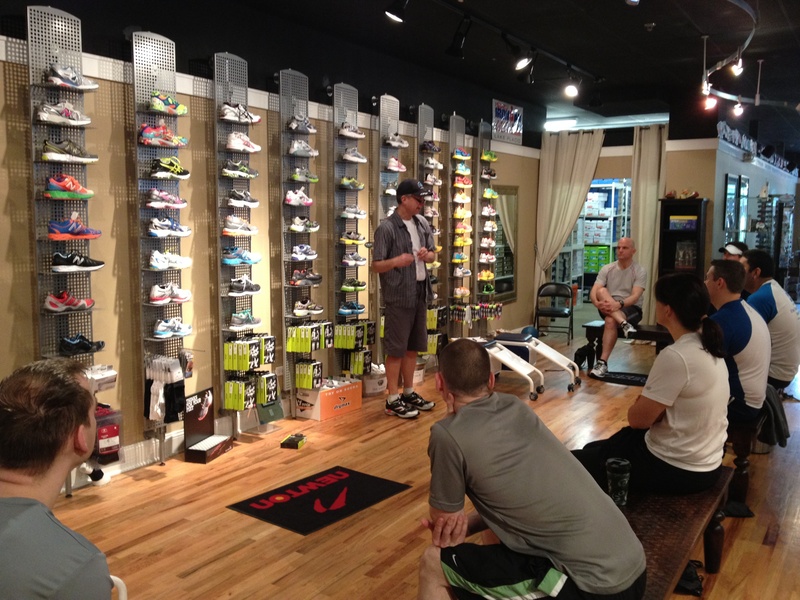 Everything from shoe fitting, running biomechanics, nutrition, swim video-taping and analysis, bike technique, bike fittings, and transition tips were all included. And what made this camp so great? Not only the expertise and passion of the coaches, but the athletes were awesome as well! We had a great mix of people with varying experiences…best of luck to all of them in the year ahead! This weekend would not have been possible without the help of the Augsburgers and Sandy who watched Sarah and Courtney so we could put on this camp! Thank you SOOOOOO much!